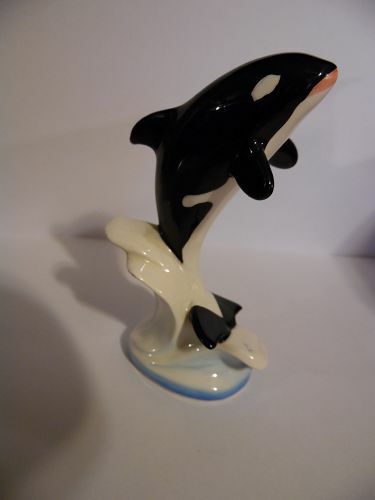 Vintage ceramic figurine of an orca breaching the ocean waves. Measures 4" tall and in pristine condition with the original paper Japan label. Check out all the other whale and dolphin items I will be listing.